Flip a coin. If heads, you may not remember much. Flip a coin. 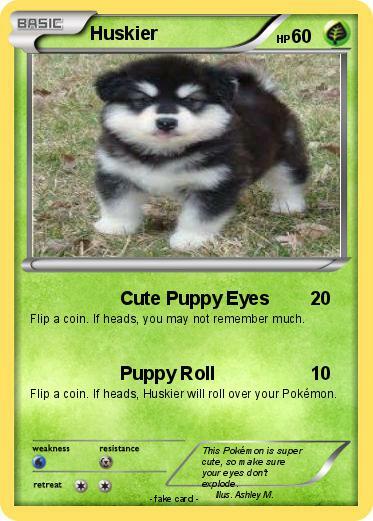 If heads, Huskier will roll over your Pokémon. Comments : This Pokémon is super cute, so make sure your eyes don't explode.